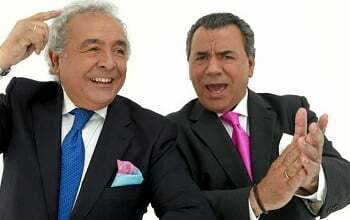 Spawning one of the hottest dance crazes of the ’90s, the duo of Antonio Romeo Monge and Rafael Ruiz released ”Macarena” in 1993, but had to wait almost three years for the song to become a worldwide hit. Monge and Ruiz had recorded Spanish flamenco-pop as Los del Rio for decades, and were inspired to record ”Macarena” by a dancer they saw in Venezuela. The single was originally released in April 1993 on a Spanish label, and became a hit in that country. Los del Rio’s popularity sparked a special concert for the Pope, and prompted the BMG label to license an American dance-club version in 1994.